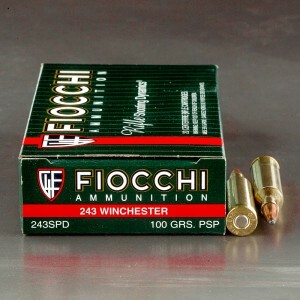 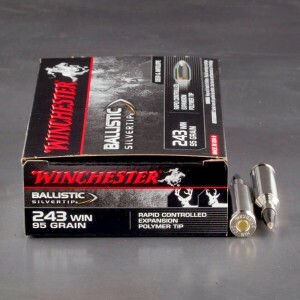 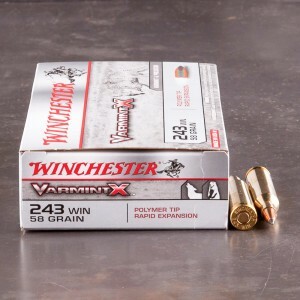 .243 Winchester ammunition is very common among North American hunters. 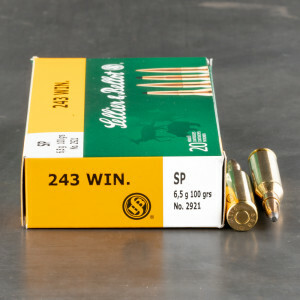 The round itself is a centerfire, rimless, bottle-necked, .243 caliber rifle cartridge that was introduced by Winchester in 1955 for use in their model 70 bolt action rifle. 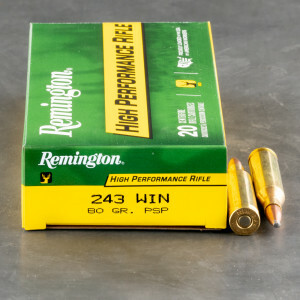 Starting with a .308 Winchester case, Winchester's design team reduced the size of the case's neck to accept a .243 caliber bullet in order to create a varmint cartridge with an extremely flat trajectory that was capable of instantly killing larger varmint species (such as Coyotes) than could be humanely taken with the various .22 caliber cartridges. Consequently, this cartridge found immediate success with avid varmint hunters when loaded with lightweight, hollow point or ballistic tip bullets. 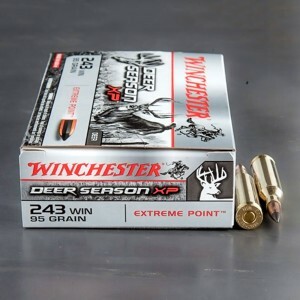 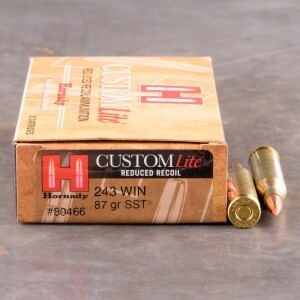 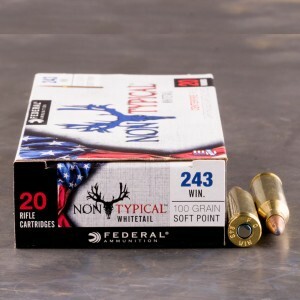 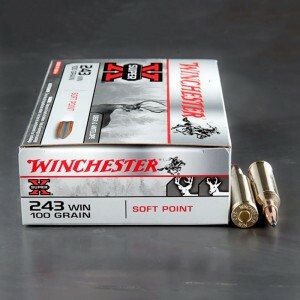 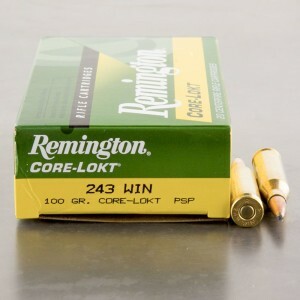 It didn’t take long for Eastern deer hunters and Western Antelope hunters to quickly discover that 243 ammo also makes an excellent long range deer and goat cartridge when loaded with 100 grain, soft point, spitzer bullets and it can even be used successfully on Mule Deer at closer ranges when loaded with tough, heavy, bullets. 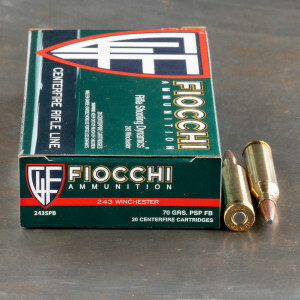 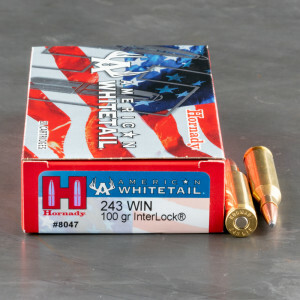 In fact, with a range of available bullet weights and designs from 58 grain hollow point spitzer bullets to 100 grain soft point spitzer bullets as well as a 105 grain match grade boat tail hollow point bullet and even a 90 grain Full Metal Jacket design to choose from, .243 Win ammo is a very versatile cartridge. 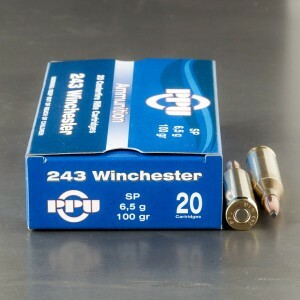 Consequently, due to the 243’s versatility, many hunters choose rifles chambered for this cartridge as their sole hunting rifle and thus, nearly all American firearms manufacturers have chambered one or models of their rifles for this cartridge. 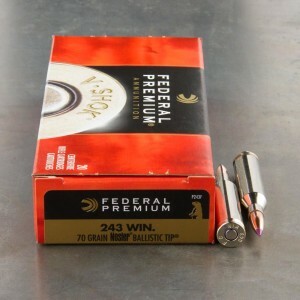 Number one deer stopping bullet.Great exit wound. 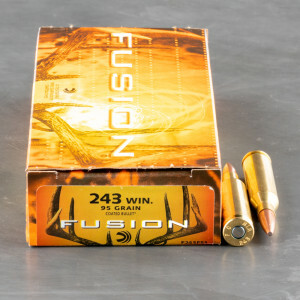 My son used this ammunition to harvest a doe at about 230 yards. 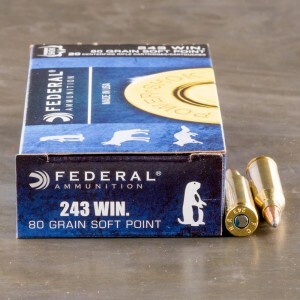 The performance of the round was impressive. 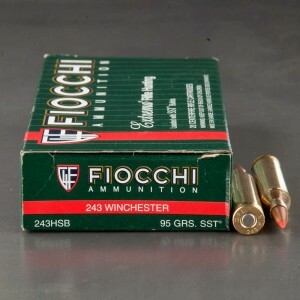 It was a pass through (including ribs on both sides) and had a very sufficient wound channel. 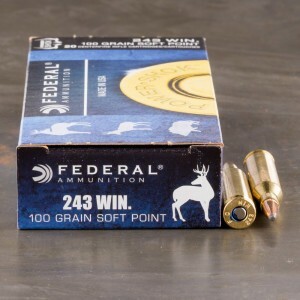 This ammunition was also the most accurate out of about ten kinds tested in his Savage rifle. 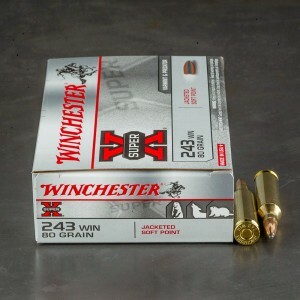 Black Hills ammo gets a 5 star from my hunting group.